7 Elements is managed by an technically astute, dedicated and committed leadership team with over 13 years IT security testing and consultancy experience. Embedding our vision to provide robust, impartial advice through knowledge, technical capability and high standards of service delivery are of the utmost importance. This, balanced with our business acumen, commercial awareness and plain speaking advice ensures 7 Elements’ clients are in safe hands. 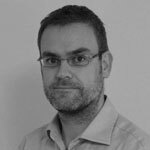 Founder of 7 Elements, David brings over 13 years of experience within the technical security market, where he has gained a wealth of knowledge and expertise through the delivery of security testing and in the provision of technical expertise to high profile incidents. He has performed key roles in security programmes, aligning a risk managed security approach and business risk appetites across multiple business functions in order to provide pragmatic security solutions for regulatory requirements. David has also devised bespoke risk assessment methodologies for a number of security projects, including technical and business risk assessments aimed at understanding the risk profile for a multinational organisation, and has developed a new thematic for resilient information security assurance. His specialist skill is bridging the gap between technical teams, senior management and C-level executives, to improve the understanding, use and development of security testing. As such, he has recently taken on the role of Strategic Cyber Security Advisor to the Scottish Government's Resiliency Advisory Board. David is an active member of the wider security industry, regularly presenting on the subject of information security and its many facets. 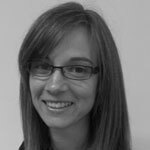 Responsible for the daily and operational business management at 7 Elements, Sarah is the only non-technical team member. She brings a wealth of experience in the field of security risk management and assurance, and threat management gained through her background in both public and private sectors. This provides her with a unique insight to the challenges faced by today’s organisations in the effective management of security risk.